Let's get physical, there is nothing virtual about us, our servers are real and so is our service. Secure Data Centers, your site is safe from physical interference. nLayer Network infrastructure, 100% Cisco powered high speed internet connections. 100% Uptime Guarantee, you are always online. 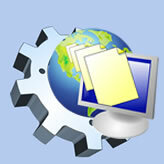 Free Spam, Antivirus and Security Scanners to keep your email and site clean. Nightly backups, we can recover your site fast. Hello The remote workforce is a growing trend and will only become stronger as the internet becomes faster. Would you like to log in to your office from anywhere in the world, run your business from anywhere? Do you have a mobile workforce, give them the tools they need to stay up to date and update you. You don't have to be big business to use this technology it is available now at an affordable price. We can advise you on what you need and how it works. Small businesses owners are constantly bombarded with IT challenges. 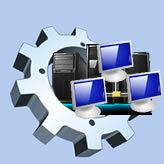 We can help you through the maze of different desktop and server configurations. Are you happy with your servers performance? Are you backing up regularly? Do you take a backup of your valuable data offsite? Are employee's complaining about the system? We work within your budget and do as much as you need without adding useless bells and whistles. No contracts, just a reasonable hourly rate. We can custom build applications for you. 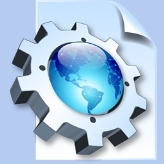 Turn excel spreadsheets in to true multiuser applications. Publish your data to the web so you, your staff and your customers have 24 hour access. Interface your data with MYOB saving valuable time. 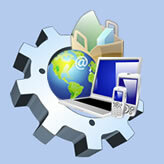 We can build that Desktop, Internet, Intranet, iPhone or Android App you have been dreaming about. Multiuser network ready apps for all aspects of business.